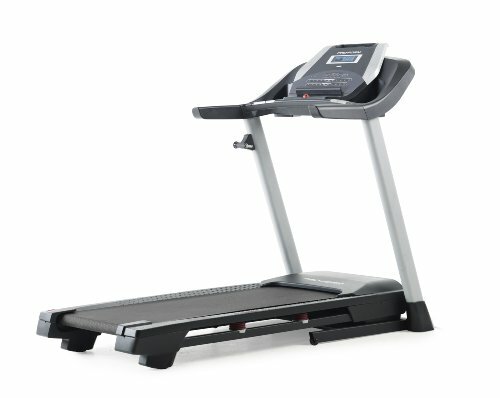 ProForm is a well-established company in the health and fitness industry with a good reputation for delivering highly professional and budget friendly exercise equipment. Besides elliptical machines, they manufacture many other pieces of fitness equipment including rowing machines, treadmills and hybrid trainers. 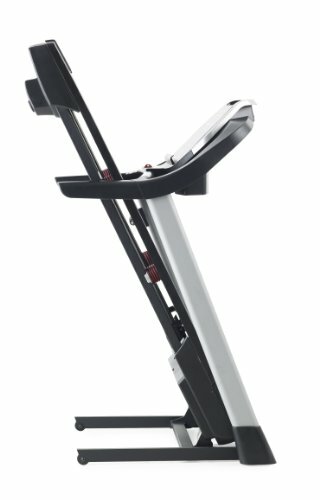 The ProForm 505 ProForm is a well-established company in the health and fitness industry with a good reputation for delivering highly professional and budget friendly exercise equipment. Besides elliptical machines, they manufacture many other pieces of fitness equipment including rowing machines, treadmills and hybrid trainers. The ProForm 505 CST Treadmill is a budget friendly, entry level treadmill. It provides a wide and impressive plethora of features all of which are set to help you work out in the comfort of your own home as well as provide you the truest conditions towards attaining your fitness aspirations. The ProForm 505 CST Treadmill has dimensions amounting to 61 inches of length, 36.5 inches of width, and 73 inches of height respectively. The machine has a space saving fold design that allows you to fold the treadmill every time you are done using it and slide it under a bed or a storage room in order to free up space. The folding design is based on a Safe-Drop and Easy Lift technology that makes it highly convenient for you to both fold and unfold the machine when necessary. It has a running surface measuring at 55 inches length and 20 inches width which is nice and compact while also wide enough to accommodate people with large running action. The ProForm 505 CST Treadmill has a 6 inch LCD display that helps track elapsed time, total speed, distance covered, and number of calories burned. It also has a scan mode allowing the readings to repeat without you having to manually press the button thus helping you keep track of the progress. It has speeds ranging from 0 kmh all the way up to 10 kmh which can be increased or decreased using the + and – buttons on the control panel. One of this treadmill’s best features is its 15 pre-set workout programs designed under the guidelines of fitness trainers. These programs have already been fed into the treadmill’s programming and will provide you with diverse workout modes. Along with the programs is the brilliant iFit mode, a program that allows you to go online and use the endless plethora of workout features available on the internet. You can sync it up with Google Maps and compete with other iFit users along the globe as well as join fitness communities. You can also get tailor-made workouts by fitness trainer Jilian Michaels. The treadmill is also equipped with a safety key which can be clipped on to your clothes. If ever a situation befalls where you cannot stop the treadmill using the control panel, all you’ll need to do would be to unclip the safety key and the treadmill will come to a stop by itself. The treadmill also has the sophisticated feature of pulse grip monitors found on the handrails. The sensors will sense your pulse and use it to determine your heart rate, giving you an accurate or close to accurate tracking of your heartbeat and subsequent burning of calories. The ProForm 505 CST Treadmill is solidly built and made of heavy duty steel. It weighs 186 pounds with a weight capacity of 325 pounds which makes this a great machine for people of varying body and weight types. It is also equipped with a 2.25 HP motor which though tame is good enough to move the conveyer belt over the rollers at good speeds. Since the motor is small and adequate enough to just run the treadmill, you won’t have to worry about it making noise and annoying others in the house. Owing to the compact size though, it must be noted that the rollers of this machine are small. The ProForm 505 CST Treadmill features a Proshox Lite 3 cushioning deck technology that gives the belt a shock absorption surface designed to a absorb the impact of your strides and ensures that your knees, ankles, and legs won’t feel sore after a workout. This also helps to make the recovery of the muscles run faster. The treadmill has incline options that can be set between 1% to 10% with the push of a button on the control panel. Having seen all the aforementioned features, let us weigh the pros and cons. The only drawback worth noting here is that 10 mph is too tame a max speed for those seeking rigorous workout sessions. The name ProForm is a giant in the fitness market and any product of theirs is sure to have some of the top end features known to man. 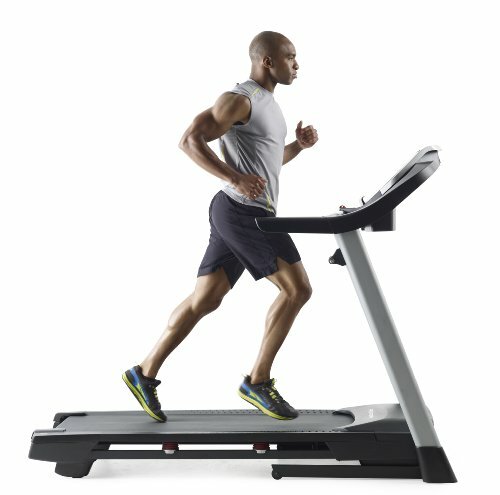 With the 505 CST, ProFoam have brought there A game to the realm of budget treadmills as well. This is an excellent machine and we strongly recommend it. 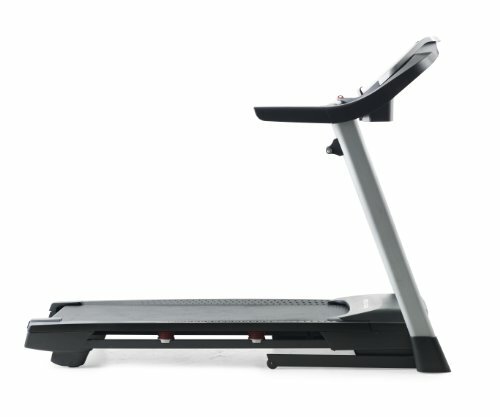 This is one of the most popular of treadmills circulating in the market because of its all-rounder qualities. Aided by a good motor and featuring workout programs along with iFit connectivity gives it a charm.